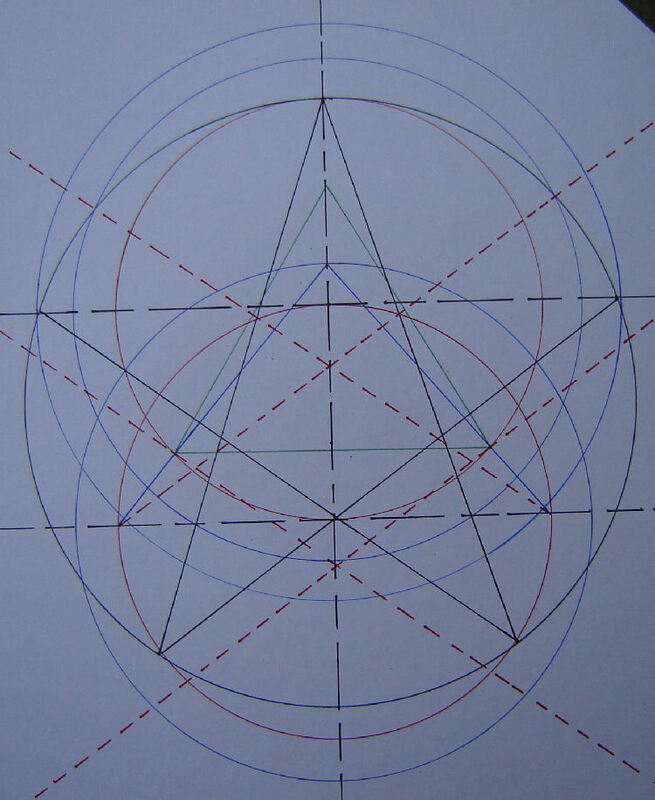 The Third Breastplate of Metatron is one of the basic underlying patterns to the Reshel, a term first used by Maia Nartoomid (www.spiritmythos.org) and also used by metascientist William Buehler who studies ancient scriptures for universal light codes that he applies to his own speciality of sacred geometry. He applies the knowledge gained to earth grids and human artefacts built by secret bodies in the past. 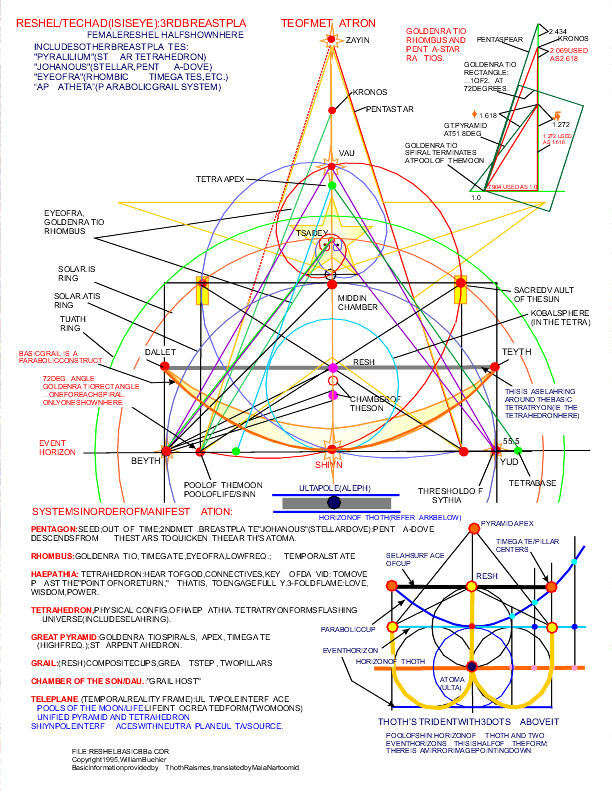 The pattern you see here is intrinsically linked to angles contained in both the physical and etheric levels of the Great Pyramid, Grail, tetrahedron, golden ratio rhombus, pentagonal star and others. Spiritually it has the capacity to enflame those who choose to work with it and carry it. The main purpose of the Reshel is to assist all levels of planetary sentience to evolve. It is an etheric schematic for consciousness that links in with the inner plane mentors, and is of immense significance since the times we live in now are particularly pertinent to surges of consciousness expansion en masse.